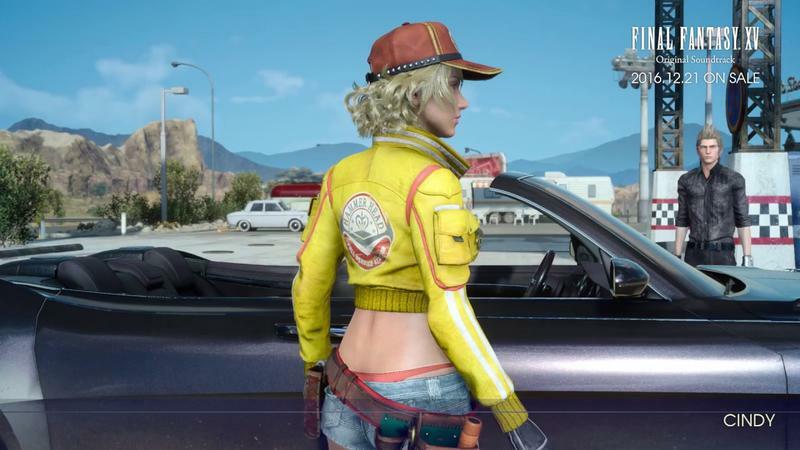 Square Enix has released a batch of Final Fantasy XV trailers aimed at not only showing off the game but also highlighting its music. The five trailers are titled: Cindy, Safe Haven, Wanderlust, Apocalypsis Noctis and Song of the Stars. Final Fantasy's classic composer Nobuo Uematsu is not returning for Final Fantasy XV. While he did helm Final Fantasy XIV's soundtrack, he hasn't been put in charge of another main Final Fantasy game since Final Fantasy X, and even then, he required a few younger composers to help meet the game's younger, hipper feel. Final Fantasy XII was composed by Hitoshi Sakimoto, who also composed Final Fantasy Tactics and other games developed by Director Yasumi Matsuno. Final Fantasy XIII was composed by Masashi Hamauzu, who also brought a much needed modern feel to the sci-fi game. In turn, Final Fantasy XV is composed by one of Japan's most prolific female video game composers, Yoko Shomomura. Her credits include Kingdom Hearts, Parasite Eve, Mario & Luigi, Legend of Mana, Xenoblade Chronicles, Radiant Historia, and Super Mario RPG. If anyone can make this offbeat Final Fantasy game sound brilliant, it's her.